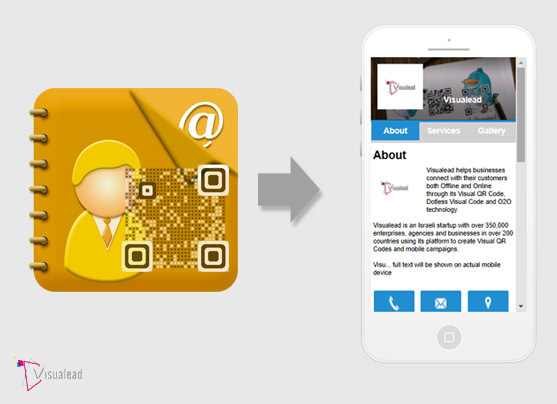 Business page QR codes provide an experience where users can access business profiles by scanning the code. What's even better is how Visualead makes the entire experience worthwhile. 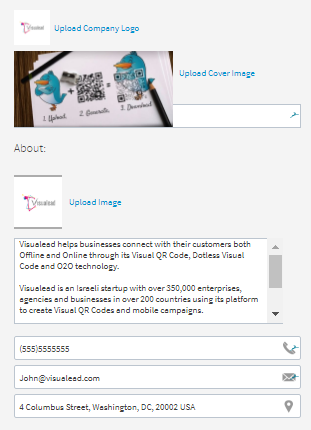 Aside from the actual QR codes, our platform has arranged the layout of the business page for you, and this is where the code will direct to whenever it is scanned. So you do not just own a distinct code but you are provided with a ready-made page. Whether you are knowledgeable about page design or not, these business page QR codes are perfect for your needs. To create these business page QR codes, you will need to supply information which includes your company logo, cover image, description or about page, contact details, email address, office address, social media pages, services details, and image gallery. The social media pages available for inclusion are Facebook, Google+, and Twitter. Once you have these QR codes, they can significantly improve business profits and generate more leads for your company. The codes will also redirect customers to the embedded business page that can also be accessed on mobile phones.